Exploring environmental literature from a feminist perspective, this volume presents a diversity of feminist ecocritical approaches to affirm the continuing contributions, relevance, and necessity of a feminist perspective in environmental literature, culture, and science. Feminist ecocriticism has a substantial history, with roots in second- and third-wave feminist literary criticism, women’s environmental writing and social change activisms, and eco-cultural critique, and yet both feminist and ecofeminist literary perspectives have been marginalized. 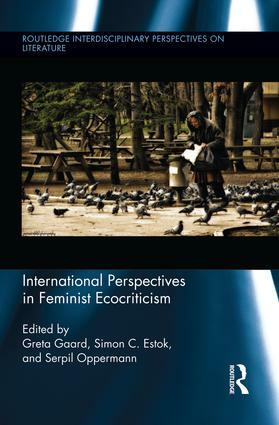 The essays in this collection build on the belief that the repertoire of violence (conceptual and literal) toward nature and women comprising our daily lives must become central to our ecocritical discussions, and that basic literacy in theories about ethics are fundamental to these discussions. The book offers an international collection of scholarship that includes ecocritical theory, literary criticism, and ecocultural analyses, bringing a diversity of perspectives in terms of gender, sexuality, and race. Reconnecting with the histories of feminist and ecofeminist literary criticism, and utilizing new developments in postcolonial ecocriticism, animal studies, queer theory, feminist and gender studies, cross-cultural and international ecocriticism, this timely volume develops a continuing and international feminist ecocritical perspective on literature, language, and culture.